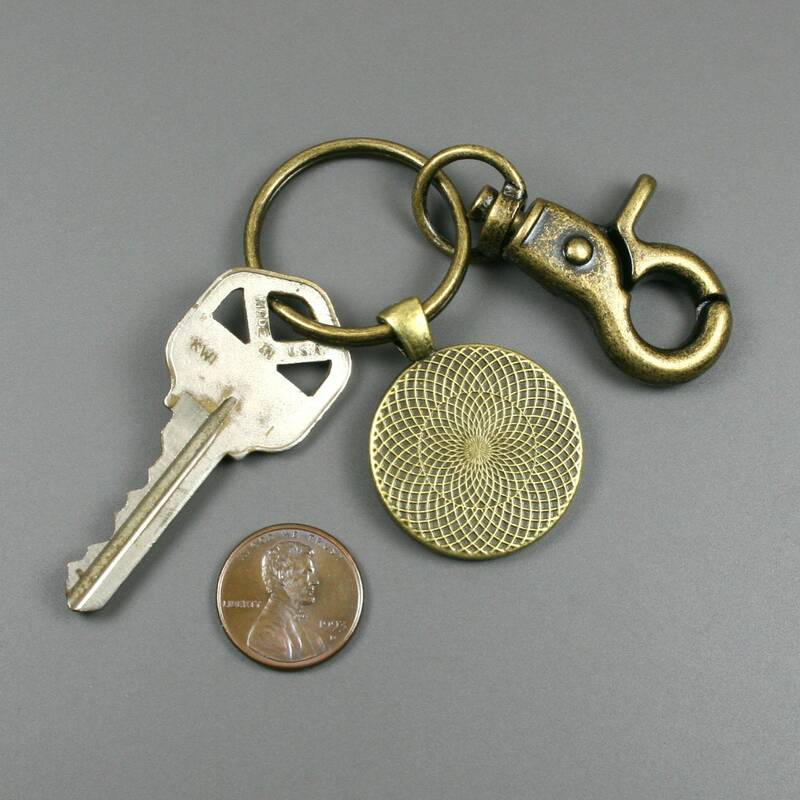 This key chain is made from a 25 mm round red jasper stone cabochon that has been set in a 25 mm round antiqued brass bezel setting and attached to an antiqued brass metal key ring with a swiveling lobster claw attachment. 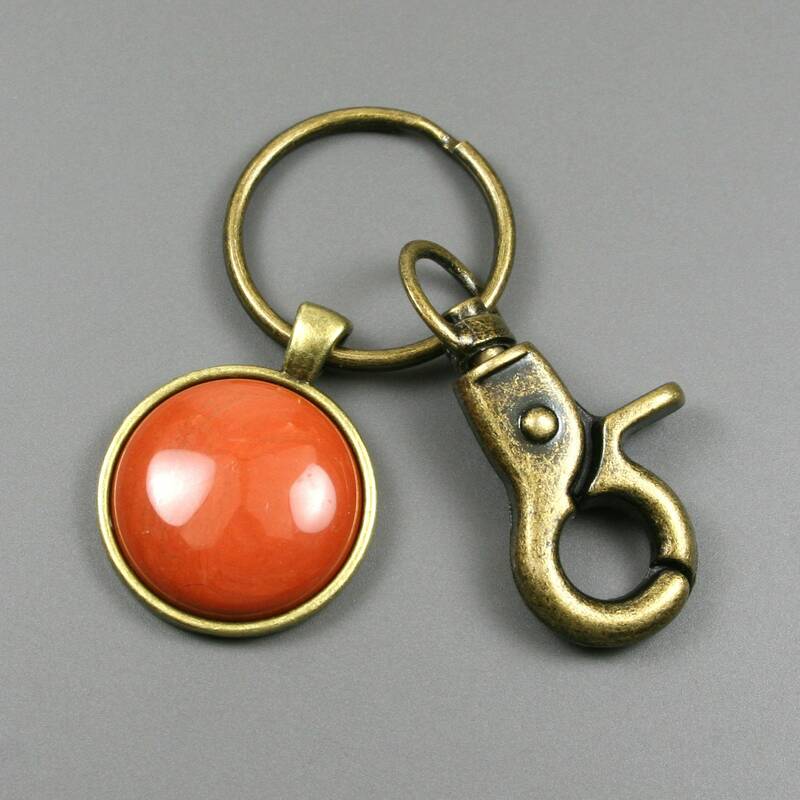 Red jasper is a naturally occurring stone that contains natural color variations from specimen to specimen, but it is generally a deep orangish red color with occasional fine black striations. 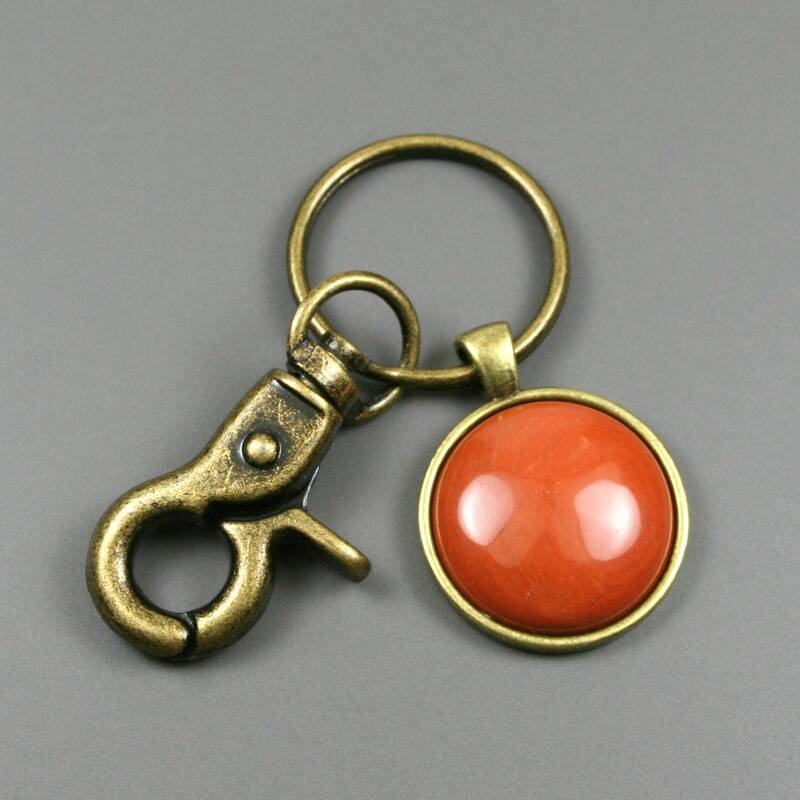 Red jasper is claimed to promote nurturing, grounding, and stabilizing.